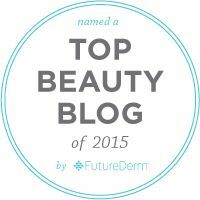 Ulta's 21 Days of Beauty continues! The Deals. The fabulous beauty steals! If you are a Platinum Member... Oh, boy! Special treats just for you! As well as enjoying free shipping on Beauty Steals. I have been shopping. I can't resist. How about you? 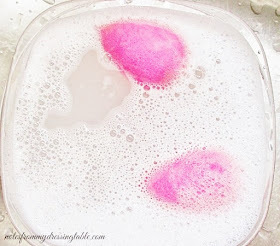 I have one of today's Beauty Steals to share with you, now. 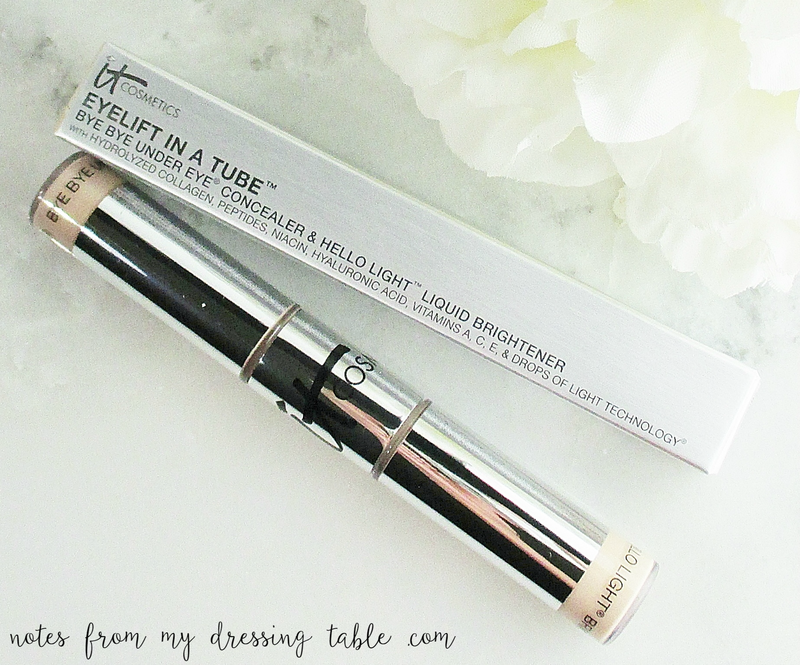 IT Cosmetics Eye Lift in a Tube combines two It Cosmetics under eye products in one sleek, portable purse sized package. On one end is the famed Bye Bye Under Eye Concealer in your perfect shade and on the other, Hello Light Liquid Brightener that adds luminosity without glitter or shimmer. Delivered by soft, velvety doefoot applicator and tapped genty into the skin the Hydrolyzed Collagen, Peptides, Niacin, Hyaluronic Acid, Vitamins A, C, E and IT Cosmetic's Drops of Light Technology combine to nourish, hydrate and brighten the skin while correcting and concealing imperfections and brightening darkness. 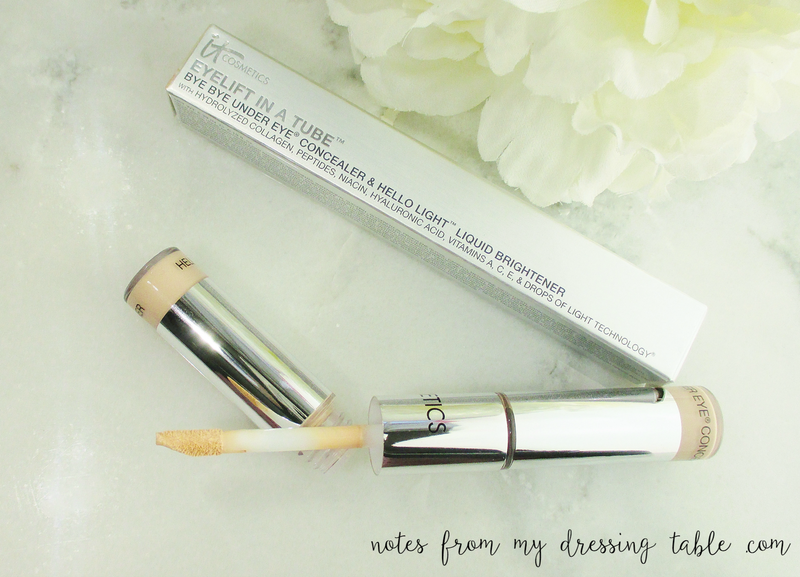 This is IT Cosmetics Eye Lift in a Tube in light. 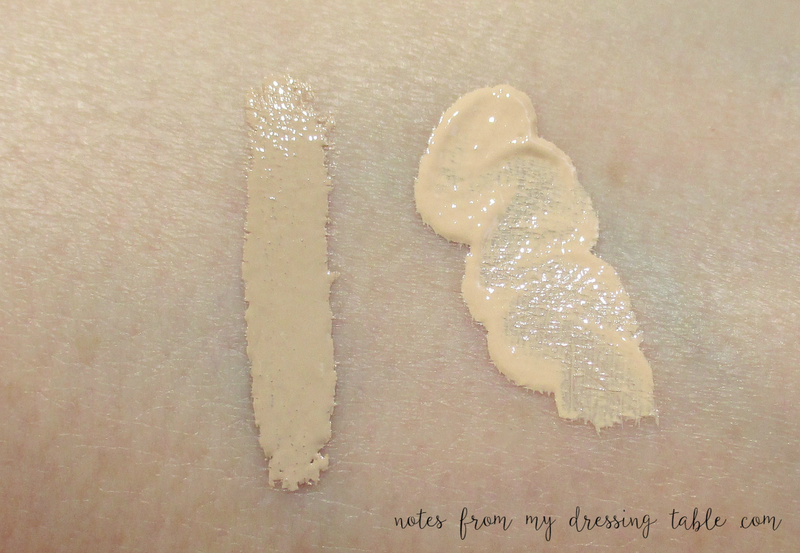 On the left is Bye Bye Under Eye Concealer and on the right is Hello Light Liquid Brightener. I use this over foundation and the IT Bye Bye Under Eye Corrector. The texture on these is lovely. Lightweight and silky. They blend in smoothly and easily, the concealer can crease if I apply too much but a pat and gentle swipe with a clean finger will smooth it back down so no worries. The brightener is nice for under the eyes, it doesn't cake or crack, even in my fine and not so fine lines. It is also nice for a fast, no brainer face highlighter. Tops of the cheekbones, down the bridge of the nose, the cupid's bow, a little on the forehead. Blend it in with a damp sponge or a soft brush. This is just the thing to make you look refreshed, bright eyed and ready to face the day. For one day, only, September 15th It Cosmetics Eye Lift in a Tube is only $14.50. Grab it while it's affordable. You'll thank yourself. Another special deal today only: Dermablend Smooth Liquid Camo Foundation, only $22.75! LORAC TANtalizer Baked Bronzer steal price: $16.50. Today's In Store only Steal is LORAC PoreFection Concealer for only $12.00. What 21 Days of Beauty Steals have you been snapping up? What is still on your list? Definitely on my list of items to try! I have IT Cosmetics Confidence in a Cream from b-glowing and love it! I love to know what you're thinking. I dig honest discourse and lively discussion, even a good debate. I do not dig spam, hate speech or personal attacks either against myself or my gentle readers. Comments containing spam (including links of any kind), hate speech or personal attacks will be deleted. EBATES Where it pays to shop online Sign up and receive a $10 Gift Card! Bobbi Brown Highlight Powder Available Again!